Law professor Richard L. Kaplan says an obscure provision in the recently enacted Small Business Jobs Act could have major consequences for anyone with a retirement savings account at work. CHAMPAIGN, Ill. - A new law aimed at helping stimulate small-business job growth through tax deductions could have major consequences for anyone with a retirement savings account at work, a University of Illinois expert on taxation and elder law notes. 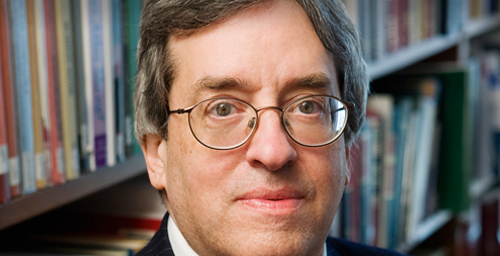 Law professor Richard L. Kaplan says an obscure provision in the recently enacted Small Business Jobs Act allows 401(k), 403(b) or 457 account holders to convert their retirement savings into a tax-advantaged Roth-version of the same account. The good news, according to Kaplan, is that by converting to a Roth variant, income can grow completely tax-free because no tax is assessed when funds are withdrawn from a Roth account during retirement. The bad news: Those who convert retirement savings account to Roth plans must report the amount converted as income, a move that could potentially bump them up into a higher tax bracket. "The tax bracket you think you're in may not be the tax rate you pay when you consider the related implications," he said. Many tax write-offs that are tied to income, such as medical deductions, student loan interest and education tax credits, might not be deductible. "Converting a retirement account raises your income level, and some very popular deductions phase out at a certain level of income," Kaplan said. "There are various unexpected tax consequences from converting the account, most of which are negative." Although most states tax Roth conversions, Illinois doesn't at the moment, which could make switching potentially more attractive for some. But that will likely change in the near future, considering the state's yawning deficit. "This new law represents a major tax planning opportunity for people who fear that their tax rates will increase in the future," Kaplan said. It's very similar to the decision of whether to convert an Individual Retirement Account (IRA) to a Roth IRA, which Kaplan discussed in an article published last year titled "To Roth or Not to Roth: Analyzing the Conversion Opportunity for 2010 and Beyond." But Kaplan explains that more people have a retirement savings plan at their workplace than have an IRA, so the ramifications of this change in the law could be much more significant. The bill, signed into law Sept. 27 by President Obama and effective the next day, ostensibly was drafted to help small businesses grow and hire more workers. The changes to retirement accounts were put in to offset the revenue loss of the small business tax incentives. Kaplan says although no one can be forced to make the switch to a Roth variant, the government thinks that enough people will make the conversion to prevent the new legislation from adding to the federal deficit. Kaplan also notes that those interested in converting their retirement assets to a Roth-variant don't necessarily have to convert their entire account. "You can hedge your bets and convert only part of it," he said. "The major impact is for people who have not yet retired but who want to diversify their retirement portfolio - not in the sense of stocks versus bonds, but in the sense of having some after-tax accounts as well as some pre-tax accounts."